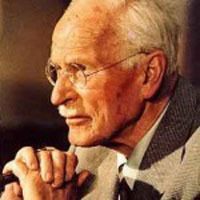 Carl Jung Famous Hindi Quotes: कार्ल गुस्ताव जंग (26 जुलाई 1875 – 6 जून 1961) एक स्विस मनोचिकित्सक और मनोचिकित्सा थेरापिस्ट थे. स्विस आर्मी में प्रथम विश्व युद्ध के दौरान उन्होंने एक कमीशन अधिकारी के रूप में काम किया. Quote 1 : There is no birth of consciousness without pain. Quote 2 : The word ‘happiness’ would lose its meaning if it were not balanced by sadness. Quote 3 : Who looks outside, dreams; who looks inside, awakes. Quote 4 : Everything that irritates us about others can lead us to an understanding of ourselves. Quote 5 : The shoe that fits one person pinches another; there is no recipe for living that suits all cases. Quote 6 : A particularly beautiful woman is a source of terror. As a rule, a beautiful woman is a terrible disappointment. Quote 7 : Resistance to the organized mass can be effected only by the man who is as well organized in his individuality as the mass itself. Quote 8 : Masses are always breeding grounds of psychic epidemics. Quote 9 : Children are educated by what the grown-up is and not by his talk. Quote 10 : Every form of addiction is bad, no matter whether the narcotic be alcohol or morphine or idealism. Quote 11 : Knowledge rests not upon truth alone, but upon error also. Quote 12 : Man needs difficulties; they are necessary for health. Quote 13 : It all depends on how we look at things, and not how they are in themselves. Quote 14 : If one does not understand a person, one tends to regard him as a fool. Quote 15 : Show me a sane man and I will cure him for you. Quote 16 : When an inner situation is not made conscious, it appears outside as fate. नोट : आपको Carl Jung Famous Hindi Quotes कैसा लगा, अपना विचार comment के माध्यम से दें.